Longer days. Brighter skies. Warmer weather. With April fast on its way, we've got everything you need to switch up your makeup, turn over your closet and celebrate spring with a fresh, new you! My favorite pick this campaign is the cute and casual Chambray shirt. With a fun pink gingham trim it's just the right amount of girly combined with a great summer weight fabric. I'm sure this will be a staple of my summer wardrobe. The cotton/spandex fabric is breathable and stretches with you through all your summer activities. The clothing, shoes and accessories in the Signature Collection coordinate for a mix and match wardrobe that will take you through the season in style, no matter what the occasion. They're machine washable and come in sizes small through 3X for most pieces. 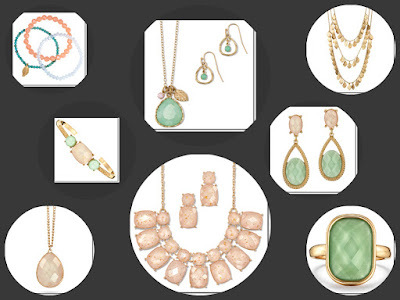 There are over a dozen new pieces debuting in Campaign 8 with additional pieces coming in Campaigns 9, 10 and 11. 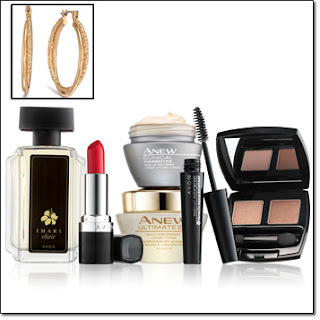 In celebration of our 130th Anniversary Avon has put together a spectacular collection of beauty products at a Very Special price. Get the collection for yourself or give it as a gift. Check out the Golden Deals and Beauty Essentials flyers for even more special deals on makeup, fragrance, jewelry, and personal care.